Need a rug? Short on cash? Why don't you make one? Don't deny it! Sometimes I think...but one day I'll find some use for it somewhere. Or--I just paid 8$ a yard for this elephant print fabric--I can't throw out the leftovers! 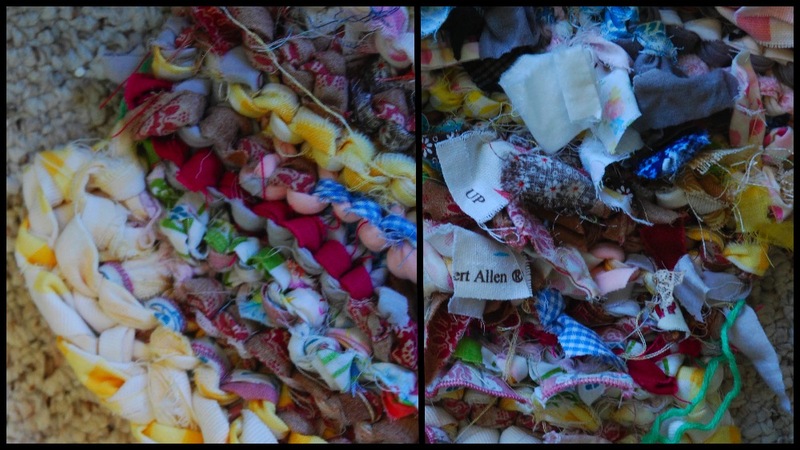 But whatever the reason, all seamstress can be found hoarding a giant stash of fabric scraps like it's gold. Or Ryan Gosling's hair. Step two: Tie them all together. You don't want any pieces less then 12 inches. Trust me. Step three: Start accumulating a large pile. Step five: Knit. I'm knitting both sides. Step seven: Keep knitting. Forever. Step eight: If you happen to get to the end, you can pull all the "tie pieces" through to one side. You can also crochet this, or make a braid and sew it together! :) Happy stash busting!